Direct mail is experiencing a new lease of life, with innovations in direct mail marketing helping brands stand out in this overcrowded digital era. The Digital Revolution in the 2000s, led by the introduction of personal computers and later mobile phones, revolutionised the world of marketing. It enabled marketers to communicate directly and instantly with customers, for a lot less than previous marketing tools. However, like all utopian ideals, it couldn’t last forever. Everyone quickly realised the benefits of email marketing, and of course, abused it. So much so that, nowadays, the average person receives an astonishing 121 marketing and promotional emails a day. As a result, no one takes any notice of them, and the majority of these emails end up trapped in spam filters, deleted or ignored. The concept of email marketing has become diluted and, although still cheap, a pretty ineffective marketing communication tool. Consumers are overloaded with information on a daily basis, and companies are struggling to get heard among all the noise. But whilst receiving emails has become a daily nuisance for many, direct mail has slowly re-emerged and is experiencing a revival. At Crush, we are going back to basics. We believe in doing things properly and communicating effectively to customers, through beautiful, eye-catching direct mail. Direct mail no longer means a flimsy leaflet, crumpled under the door mat. Direct mail can now be completely bespoke and come in all shapes, sizes, colours and formats – depending on who your target audience is. Innovative direct mail can not only help a company stand but also drive intrigue and excitement. According to the Huffington Post, 74% of consumers can’t wait to find out what’s in their letter box every morning. If that initial excitement is matched with an interactive piece of direct mail, the customer will be left with a positive experience of the brand – all for a limited cost. Unlike emails, which more often than not are deleted before being read, a good piece of direct mail will entice its recipients to engage with it. According to recent stats, only 26% of people will throw away a piece of direct mail without reading it, compared to the 82% of emails which will never even get given a glance. And of course, the better the campaign, the more people will engage with it. But not only will direct mail be better received, but it will also keep on giving. Recent figures show that even after twenty-eight days, 27% of direct mail is still ‘live’ within a household or office, constantly reminding the customer of your business and product. In a post GDPR world, a survey by Royal Mail found that direct mail is seen as a more trustworthy form of communication, compared to other forms of marketing. In fact, 87% of people considered mail to be more believable than email. Consequently, direct mail leaves a better first impression and can form the beginnings of a trusting relationship between business and customer. If the aim of your business’ marketing is to communicate to thousands of people with an undifferentiated marketing message, then direct mail might not be the right tool for you. However, if you have a more targeted approach, and would like to capture the attention of a more manageable number of customers, then read on. Direct mailing can be highly targeted, but you need to know who you want to send it to, and why. High-quality data will always help drive the campaign, whether that be a list of existing clients, or a list of potential clients who could be interested in your product. Once that is decided, each direct mail campaign design can be tailored to a specific audience, from long-time customers to new prospects. As a result, 70% of people say that receiving direct mail makes them feel more valued. Once email marketing came along and marketers realised all their actions could easily be measured and that ROI could be calculated, direct mail quickly went out of fashion. It suddenly seemed too risky and expensive in comparison. However, times have changed and there are now more conclusive ways to measure the results of direct mail marketing. It transpires that email doesn’t generate the highest ROI after all. 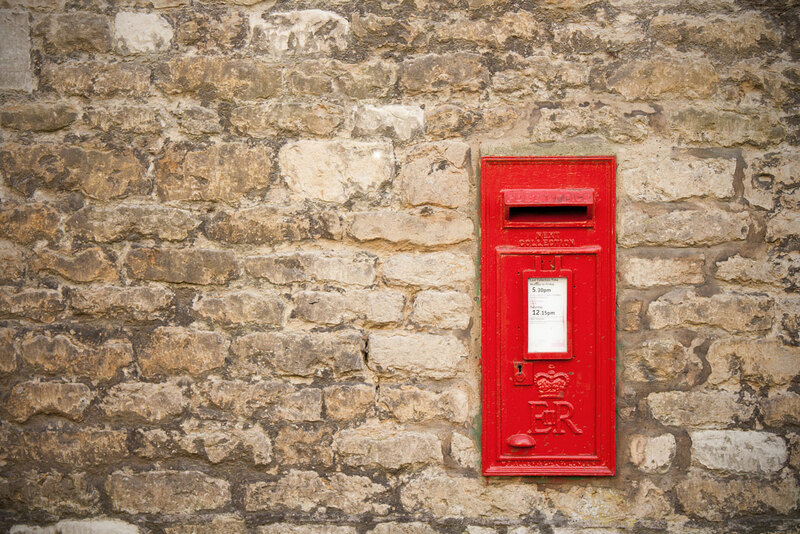 Royal Mail estimates that direct mail delivers an average of £3.22 compared to email’s £3.12 for every £1 spent. More importantly, as we have seen, well executed direct mail can help build trust, brand loyalty and brand equity – which are all extremely valuable in the marketing world. A good direct mail campaign takes time and effort to get right. This is where we can help. At Crush we have years of experience creating, designing and delivering excellent direct mail campaigns for our range of clients. Not only that, but we also find it very exciting! Looking to boost sales and awareness of your brand or product? Get in contact here.